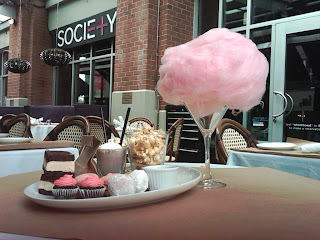 On a lazy Friday last month, B and I made our way to Society in Yaletown for a slow lunch. He's never been the the only time I ate there was last year for a birthday dinner. It's high time to revisit! We started off with their Kobe meatballs...a truly signature item of the Glowbal Group. 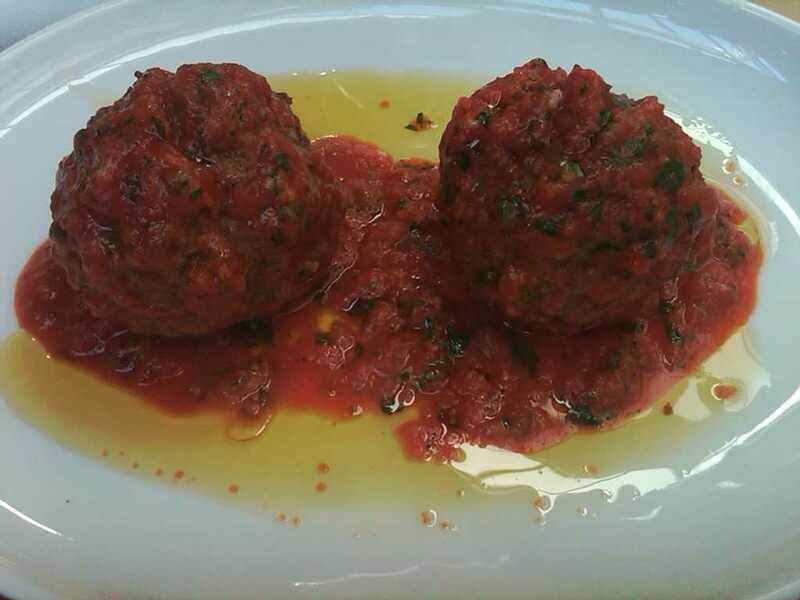 Nicely spiced and served on a bed of olive oil and marinara sauce, it's definitely not your average ball. These were just a touch spicy, and so good! Eat it while it's hot! 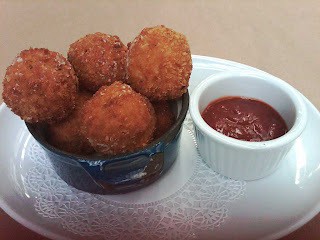 Known for comfort food with a twist, the next item we tried were there Macaroni Balls. 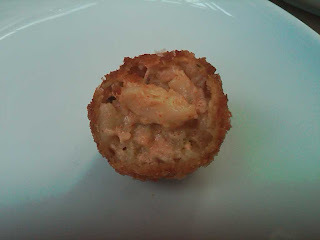 Al dente macaroni mixed with a white cheddar sauce with a hint of jalapeno, all rolled into a batter and then deep fried. It's like a mac'n'cheese explosion in your mouth! As with the Kobe meatballs, these are not one-biters. I've cut one open here to show the creaminess of the sauce and the whole pieces of macaroni nestled inside. Oh, these are addictive! 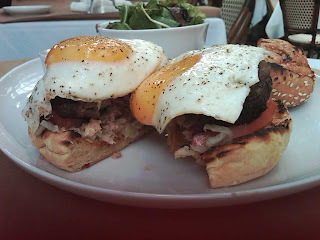 This was our main course...It's a combination of their Loaded Prime Rib burger and their Bacon and Egg Burger. 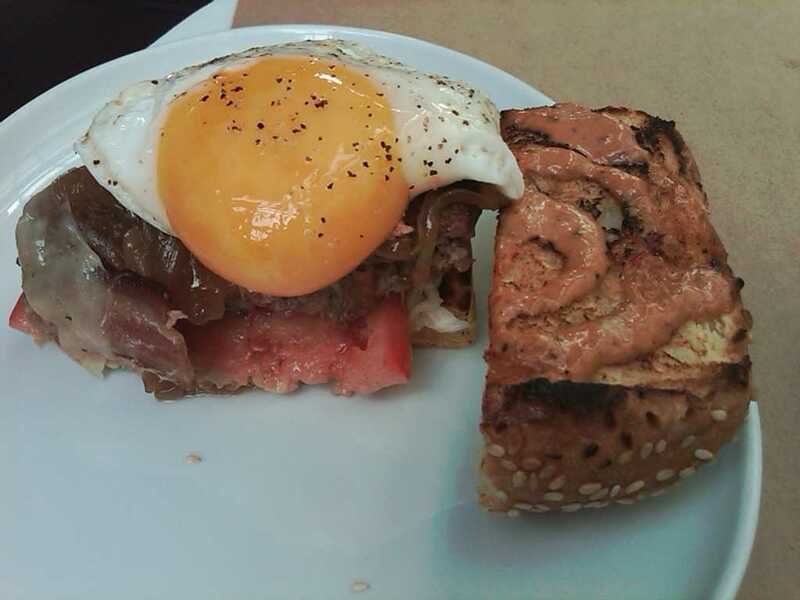 We took the prime rib burger as a base, and added a fried egg. But since we were sharing, we decided to add two eggs. The burger was pre-cut in half for us, and the eggs were resting so delicately on top. Can you see how these eggs are just runny enough. We had to eat it fast, after taking all these photos, because that egg yolk is threatening to burst all over the plate. 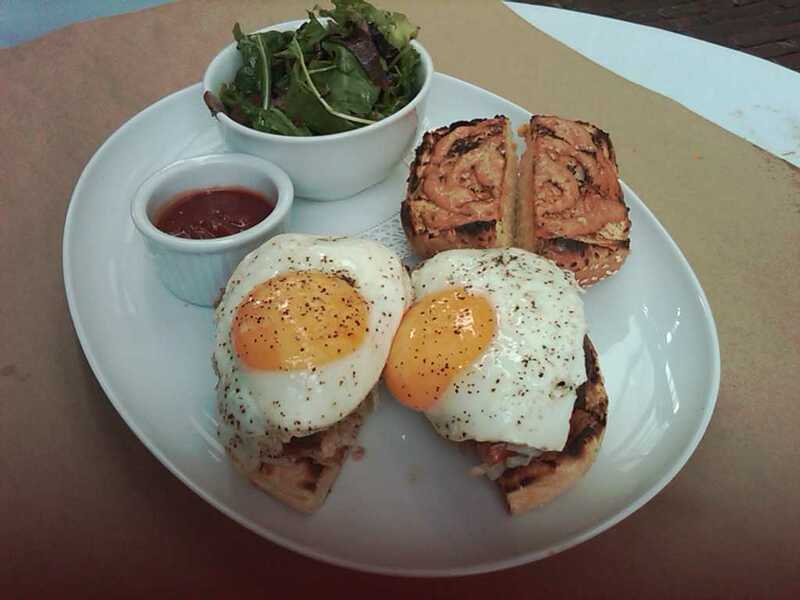 Here is the close=up of my half...a nicely toasted by, prime rib patty, cheese and a fried egg on top to make it all better. This was amazing! Many thanks to the staff who humoured us when we asked for this monster! So...after all that...who's ready for something sweet? Well, apparently, we were looking to OD on sugar. Look at that plate! There are cupcakes, mini donuts, macaroons, mini chocolate milk shake, ice cream sandwiches, and caramel corn. Oh, did I forget to mention the cotton candy the size of my head!? The staff here are really eager to please, the food here is amazing and the dessert platter will cure whatever the hell you're suffering from...depression, PMS, migraines, hangover...you name it. that dessert platter looks enchanting! did the mini donuts come in a bag of hot cinnamon sugar? 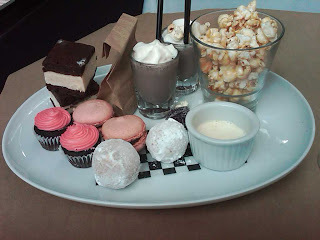 i would definitely goggle down those first, followed closely by those pretty, delectable macarons!